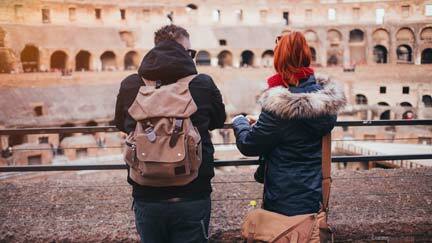 Visit Italy, and understand what generations of student travelers have been seeing in this magical peninsula. There are people to meet, art and architecture to bask in, and the ancient history of the place is unparalleled. This country is home to the Sistine Chapel, after all, and you’ll be right in the Pope’s backyard. There are a ton of places to visit in Italy, sure, like the Colosseum and the Venetian canals, but we can’t talk about Italy without mentioning the food. Every cafe is a culinary adventure, every restaurant the home of a master chef, and every bakery is something to write home about in Italy. Fresh vegetables, fruit, meats and baked goods are not just in abundance; they’re the standard. Incredible food and incredible sights are around every corner there, so read travel tips for Italy and experience it yourself. Italy is, of course, home to the romance language of romance languages, Italian. If you are roughly familiar with another romance language (Spanish, Portuguese, French, or Romanian), you’ll probably be able to read some signage and find your way around. Italians might giggle at you if you mix up Italian and Spanish, though. It’s always handy to have a phrasebook or a translator app on your phone, so you can type in questions and show them to locals for some help. A trip to Italy needs to have some focus on local cuisine. It’s all about freshness in Italy, local fresh meats, veggies and cheeses. Italians have a famously rigid four-course structure to a classic meal, starting with the antipasto, an appetizer of meats, cheeses, and bread. 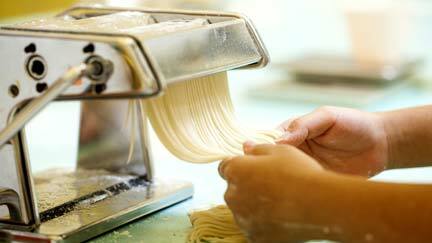 Next comes the Primo, usually a pasta dish, then the Secondo, usually fresh fish or meat. Last is the Dolce, which means “sweet” in italian. That dessert is usually fresh fruit and local pastries. Italy has quite a few free public Wi-Fi spots, and there are more and more every year. Before you go, be sure to sign up for “Free Italia WiFi,” a service that gives you one login and password for a bunch of free WiFi services. Take a power adapter with you when you go, too. Italy has the same plugs as most of Europe, but they’re different from the US outlets, in both shape and power output. An adapter makes sure that you can plug in, and that your electronics aren’t damaged. The Italian vibe might be a little more relaxed than you’re used to, almost like you’re not the only one on vacation. Everything is a bit more relaxed, a bit lower stress, and that can be both rejuvenating (like when you’re sipping a drink at a street corner cafe) and frustrating (when you can’t find your server at that same cafe, and you want to pay your bill). The Italian locals tend to be vocal and passionate, and won’t be afraid to speak loudly or with their hands. Peak tourist season in Italy is in the summer, so you might want to reconsider going during your summer break. August is the hottest month there, and it can get a little uncomfortable because in smaller towns air conditioning is not the norm. August also has a two-week national holiday during it, and many families travel then, so certain things might close. That can have a surprise benefit, though, because certain cities (like Milan) empty during August, which you'll know if you read the right travel tips. Consider visiting in springtime if you’re a foodie; that’s when all the best fresh ingredients are bursting onto the scene in kitchens across Italy. 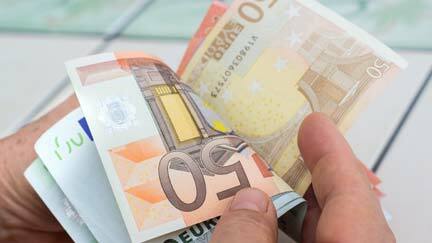 On a trip to Italy, the biggest concerns for students are pickpockets and scam artists. According the US Dept of state website, “Most reported thefts occur at crowded tourist sites, on public buses or trains, or at the major railway stations.” Larger cities, like Naples, often experience more crime, but no matter where you travel in Italy, you should exercise caution and stay aware of your surroundings. It’s always cheaper to take the metro, but you can avoid getting overcharged for taxis while travelling in Italy by doing a little research ahead of time. Ask your hotel clerk or look up how much each route should roughly cost, and then remember to ask the taxi driver for an estimate before you buckle up. Italy is dominated by sweeping views of the ancient world. 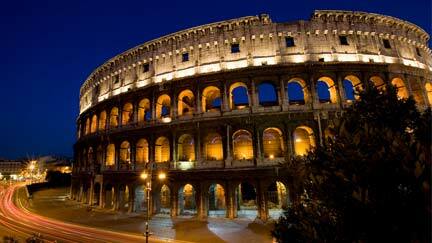 The Colosseum is considered one of the greatest structures in the world; it’s just one of many things to do in Italy. Churches, canals and beaches are all there, so pack walking shoes and a bathing suit. The home of gladiator battles is still standing, right in the heart of Rome. Buy an advance ticket so you don’t have to wait in the lines. Or, you can get a guided tour and be taken through places where the public isn’t allowed alone. This piece of architecture sits in Vatican City, which is technically it’s own state. The Basilica itself is wall-to-wall art, from the statues to the frescoes on the walls. As if this wasn’t enough reason to visit, it’s free to enter. This gleaming gothic cathedral looks like it’s straight out of Game of Thrones. Building it took six centuries, because every inch of the facade is ornately carved. It’s also the largest church in Italy, because technically St. Peter’s is in Vatican City. Considered the “main street” of the canals in Venice, the Canal Grande will be your center point of navigating the city. Taking a gondola ride here is highly recommended. Also highly recommended; gelato. Located in Florence, the piazza is dedicated to the artist Michelangelo.. In the center is a recreation of his sculpture of David, and the view shows you the heart of Florence laid out in front of you. The tiny island off the coast of Sicily is home to the turquoise lagoon of Spiaggia dei Conigli, the most beautiful beach in the world. It might be a bit of a journey from mainland Italy, but taking a ferry there is worth it. 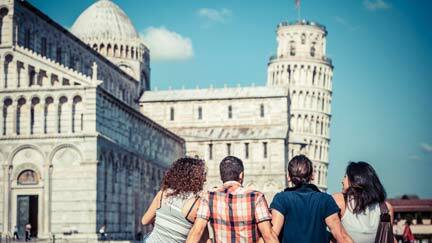 These are some of the cities to see in Italy, but believe us, there are more. Sardinia with it’s incredible rock formations, the famous Leaning Tower of Pisa, the beautiful towns of Sicily, the Mediterranean villas of Lake Como, the ancient history of Pompeii. Everywhere you go there are breathtaking sights to behold, so don’t be afraid to wander off the beaten path. On a trip to Italy, you should buy a flight into Rome. It’s a fact, the capital city is usually on top of every single list of places to travel. The Colosseum, the Trevi fountain and St. Peter’s Basilica are all here, along with so much art and architecture to see. Use Termini Station to take the train around, so you can travel from the Modern Center to the Historic Quarter with ease. 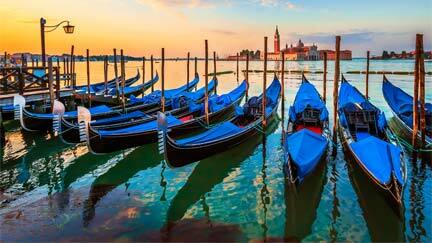 With its romantic canals and eclectic island cultures, Venice has a mystical quality to it. Peruse the canals in a water taxi, or wander through the alleyways by foot, discovering every bookshop and hidden gelato joint of the “Floating City.” If you’re lucky enough to visit in early spring, be sure to witness the Carnevale di Venezia, and don your own Carnival mask. Italy is considered the birthplace of the renaissance, and Florence is the birthplace of the renaissance in Italy. This city is full of art and culture, from the Fountain of Neptune to the Uffizi Gallery, a museum that is filled with art that the famous Medici family collected. Afterwards, stop in a cafe and dine on some world-class prosciutto and fresh baked breads. This is the city known for fashion, shopping, and so many other things to do. During the day, go for a stroll in the Galleria Vittorio Emanuele II, the world's oldest shopping mall. At night, head to Nottingham Forest, a bar with a legendary reputation for molecular mixology. For dancing, you’ll need to hit up Discoteca Alcatraz or Magazzini Generali, a restored industrial warehouse. A combination of medieval streets and seaside college town, Bari has been trying to up it’s tourism game these past years. It’s worth the trip; the schools there make the population of this city skew young, giving it a hipster vibe and a bumping nightlife scene. Party at night and relax during the day at the seafront promenade, where you can do some people watching. 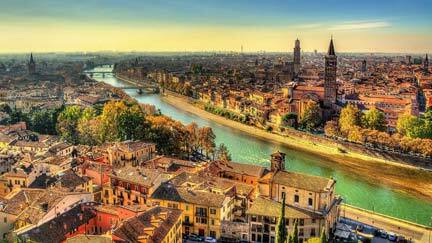 Northern Italy’s tourism is dominated by Venice and Milan. Often overlooked due to the popularity of southern Italy, there are plenty of towns worth visiting in northern Italy. If you want to be swept away by Rome's romantic charm, or maybe just channel your inner Audrey Hepburn, visit the landmarks in Rome that make appearances in these classic films. 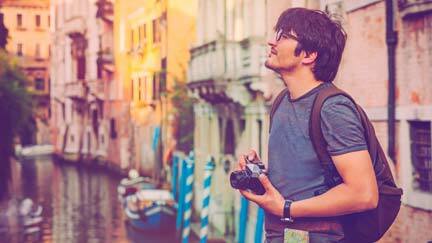 If you’ve had the opportunity to see Venice, then you already know what it’s all about. The wonderful canals, intricate bridges, and architecture that will simply make you stop and stare! Italy is world reknown for it’s cuisine. But it’s not just pasta and pastries. Each region of Italy has it’s own unique flavors, techniques and specialties. Northern Italy is different from southern Italy. No matter where you are in Italy, though, you can be sure that ingredients are fresh and the little details will never be overlooked. It’s a matter of pride and tradition. Northern Italy. Sharing its borders with Austria, Switzerland, and France, Northern Italy takes some influence from these countries and mixes it into their cuisine style. Because of the terrain, the northern reaches of Italy are the lands of meats and cheeses; rich and hearty foods that are now world-renowned. Here is where you get incredible prosciutto, and next-level parmesan cheese. Central Italy. The hilly, metropolitan region of central Italy is known for being simple but masterfully done. This is the most varied region, having elements from northern cuisine like a focus on meats (the famous Chianina cattle graze here) while still incorporating a lot of tomatoes and olive oil into their palette here, similar to southern Italy. What emerges is cuisine that is entirely unique. Southern Italy. Surrounded on all sides by the ocean, and with a warm climate, southern Italy’s cuisine takes a flavorful Mediterranean influence. This is the place for seafood dishes and fresh vegetables like peppers, tomatoes and eggplants. This is also where you’ll find the legendary Neapolitan pizza, which is deliciously simple; just crust, fresh tomatoes, and fresh mozzarella. Why study abroad in Florence?